After Bigg Boss, Dipika Kakkar to be seen in Sandiip Sikcand's next on Star Plus? Dipika Kakkar after winning Bigg Boss season 12 might be soon seen in Star Plus upcoming show. According to our source, we hear that Dipika has been approached to play the main lead in Star Plus next. The show we hear will be produced by Sandip Sikcand. Sandip is known for developing unconventional stories. His production debut, 'Dhhai Kilo Prem', was a love story of two overweight individuals. And we hear this will be also on the lines of unconventional love story. Sandip even posted a picture with Dipika recently on the social media calling her pretty one. 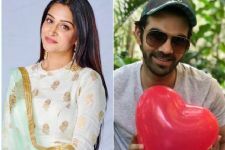 The post has left us guessing if Dipika has confirmed to play the female lead in Sandip Star Plus show. Recently media has reported about Karan V Grover locked in to play the male lead in the show. Even we hear Krystle Dsouza and Drashti Dhami were also be approached for the same. Watch out this space to know more details about the show.